Discussions Magazine Music Blog: CHARLIE PEACOCK celebrates the holidays on CMT! CHARLIE PEACOCK celebrates the holidays on CMT! 'CMT kindly invited us to be a part of their Christmas celebration. We taped a performance of "Go Tell It On The Mountain" at the legendary Station Inn here in Nashville. We hope you enjoy. Don't forget Charlie's latest studio offering! 2012 album from the veteran singer, songwriter and producer. No Man’s Land is his ninth solo outing, and his first vocal recording in 12 years. The album, which began its gestation over a three-day break between other productions, is the culmination of a lifetime of making music. ''For anyone with the desire to, I wanted this record to be the kind you could really get lost in. It’s filled with the sonic imprint of an era past: the sound of American musicians who worked hard to make a life, make a new kind of music, make a nation.'' He continues ''There’s pedal steel meets a horn section, there’s too much drinkin’ and thinkin’, fiddles wail, there’s a kiss like a peach, and of course, there’s the usual waiting on the voice of the Lord.'' 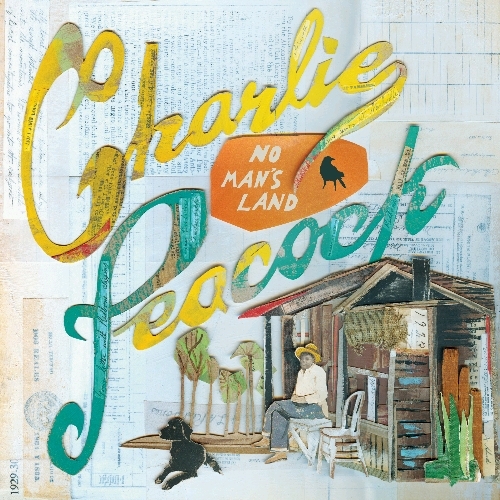 Peacock recorded No Man’s Land at his home studio, The Art House, a restored hundred-year-old church in Nashville, Tennessee.